Being overweight is an issue that affects a lot of people, both here in Australia and around the world. It’s no mystery how it happens, and the methods needed to lose weight. Why do people still struggle with weight loss, then? The truth is that being overweight is just as much a mental issue as a physical one. Diets and exercise might work in the short-term, but many people will revert to normal after a while. What’s the solution? Addressing the root cause – a lack of motivation, and helping to improve people’s attitudes. That’s why hypnosis and weight loss often go so well together. Overeating and motivation are closely linked. Most people are aware that they’re eating too much, but might struggle to find the willpower to keep their daily intake down. Whether it’s a new diet or a gym membership, new techniques will be tried out, but the problem is still there. That’s because these are just temporary solutions. The issue won’t be resolved until the cause is addressed – motivation. 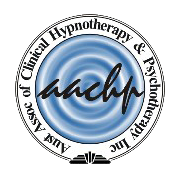 Hypnotism for weight loss is a powerful tool, that often succeeds when many other methods have failed. That’s because it targets the actual cause/causes for your weight gain, and lack of success losing weight. It might be low self-esteem, issues in your personal life, or any number of other reasons. These things can sabotage your weight loss efforts. Hypnotherapy techniques can change how you feel about yourself and your weight, and make it easier to stay motivated long-term. If you’ve been looking for a weight loss solution, then it might be time to try Hypnotherapy Healing. Rowena Lancaster has helped many people get (and keep!) that weight off where other methods have failed. When you have a hypnotherapy weight loss session with Rowena, you’ll get your very own personalised CD, detailing what you need to do, and helping you regain motivation if you’re ever struggling. The session itself will get to the root cause of your issues, and works rapidly to change your mindset. One session is all it takes – call on 0402 181 153 if you want to change your life. By |December 5th, 2017|Uncategorized|Comments Off on Does Hypnotherapy Work for Weight Loss?